Please Note: This Video contains graphical imagery caution is advised. We will not forget anything ,Our wounds are still fresh and painful. Hajar Rostami, mother of Iranian post-election victim Neda Agha-Soltan, appealed to international human rights organizations and tribunals to identify the murderer of her daughter. The International Campaign for Human Rights in Iran website reports that the mother of the young woman who was shot to death in Tehran during last summer’s street protests against election fraud has announced that her efforts in identifying the murderer of her daughter have failed. She listed the films aired on Islamic Republic television, statements made by authorities and leading clerics and Ezatollah Zarghami, head of Iran’s national broadcasting, Seda va Sima as clear instances of their efforts in distortion of her daughter’s life and death. 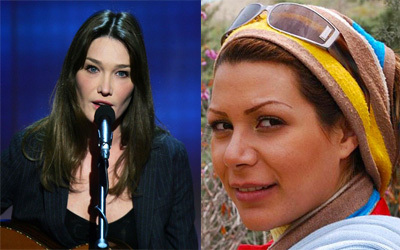 On the other hand, French first lady Carla Bruni was branded as a “prostitute” and “immoral” by Iranian news outlets on Monday after she expressed support for an Iranian woman sentenced to death by stoning. As you all remember Iran’s regime and its media used to call Neda a prostitute also. They always label people which they’re not on their side same as what happen in North Korea. The Paradox is whomever that labeled by Iran’s government aggressively; people react and like them more. Neda Agha-Soltan, whose brutal murder at the hands of the Iranian regime during the protests in Tehran last year, has become a symbol of human rights the world over. Neda, a young girl brutally killed in Iran during protests, is quickly becoming a symbol of rebellion.